Prices are not available for this item (because it is an ebook), but may be available on Amazon’s website. It is hard to overstate the value and importance of knowing who you are. After all, who you understand yourself to be, your sense of self and identity, influences everything; it is the compass we use to navigate life. Your personality type is an integral part of who you are. Knowing and understanding your type (e.g., INFP) can bring confidence and direction in your life's path. But like countless others, you may be unsure of your true type, perhaps feeling “stuck in the middle” between two or three types. • Type Clarifier Assessment. This brand new personality inventory is composed of two parts. Part I is designed to clarify your personality preferences (E, I, S, N, T, F, J, P) , while Part II focuses on clarifying your functions (Se, Si, Ne, Ni, Te, Ti, Fe, Fi). Instructions are then provided for integrating these results in order to identify your true type. • Can my personality type change over time? • Is it possible to be an “x-type,” to have no true preference at all (e.g., ExFP)? 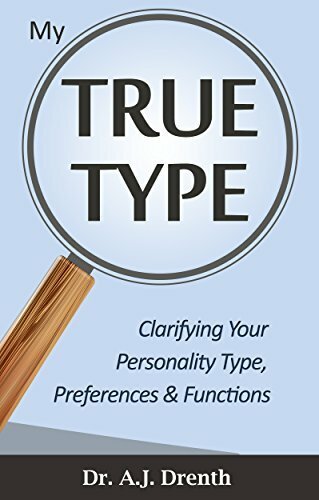 • How does gender affect personality type, especially T-F differences?